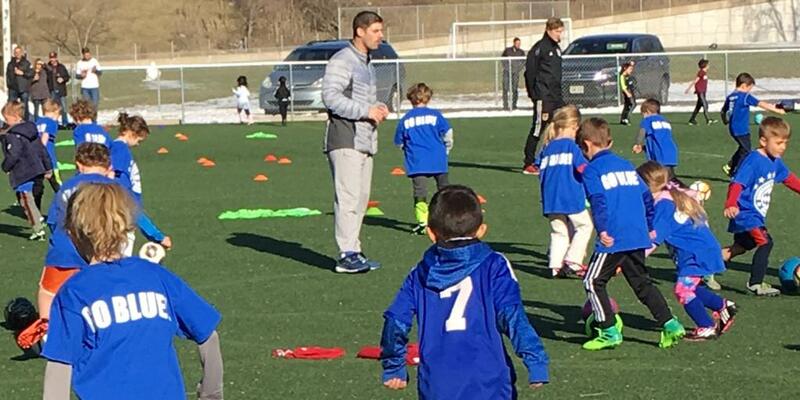 The Bavarian Soccer Club hosts soccer clinics/games for your family’s future soccer players through its Grassroots program. Each 75-minute session is divided into two parts. For the first half, we introduce proper technique and different skills with the ball while creating a fun environment. The second half gives kids the chance to scrimmage in the format of our popular Champion's League. The goal of Grassroots is to introduce soccer the correct way. We do this by using skilled, experienced, professional coaches. We do this because we feel it's important to introduce proper technique, ideas, tools, and inspiration to young players who love the game. The program will also give insight to the teaching methods and standards of the Bavarian Soccer Club Academy. This is a FUN "free play" environment for players to develop and self regulate in a series of short, small sided games. Spring 2018 Session - Go Blue!